Reindeer living on the Arctic island of Svalbard are getting smaller - and scientists say climate change may be the cause. 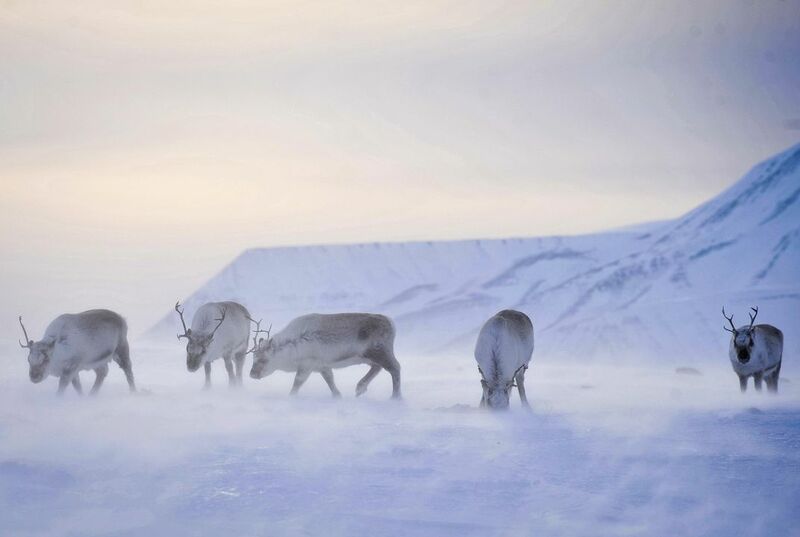 Ecologist Steve Albon of Scotland's James Hutton Institute says rising temperatures in the Arctic mean Svalbard is getting more rain, creating a hard ice sheet the island's reindeer can't easily break through to reach food. Reindeer populations are also increasing due to warmer summers, stoking competition. That's crazy. I can't believe that would happen. Who knew stuff like this could happen. Scientists believe that the warm weather is causing the reindeer to shrink in size. The increase of rain in their community has led to difficulties in the reindeer getting food. If the reindeer are eating less, they will not be able to grow at the same rate. Scientist think that they are shrinking in size because of the warmer weather. They are having trouble getting food because of rain. Without an efficient amount of food, they will not be able to grow. Between the reindeer born a few years ago and the reindeer born in the 1900's, there is a 12% difference in their weight. Scientists say it is because of the warm weather. I think this is an interesting theory and I wonder if it's actually true. Reindeer are believed to be getting smaller because of the warmer conditions causing more rain and then the deer not being able to eat. The climate change are affecting the reindeer because it is starting to become warmer in the colder months. This because reindeer have a large coat on their bodies to shield them from the cold and allowing them to be comfortable in these climates. However, with the warm weather it is causing their bodies not to grow to their max potential and other things that are soon beginning to happen causing the reindeer to die off and may even become extinct. Reindeer populations are increasing due to warmer weathers. During the summer, warmer temperature than normal is happening. Scientists say that there is a correlation between the warming temperatures and reindeer weight. Reindeer are getting use to this warmer weather. This warmer weather is also good for them to find food. 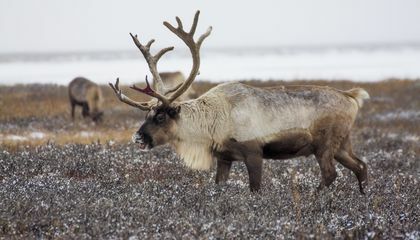 Warmer weather is creating more rain which means when it freezes it makes a hard sheet of ice that the reindeer can not break through to get to their source of food. Reindeer populations are also increasing due to warmer summers and something called stroking. Because of warmer weather reindeer competition is stoking. Colder weather and rain are causing food to freeze in ice so they are not able to get as much food as easily.